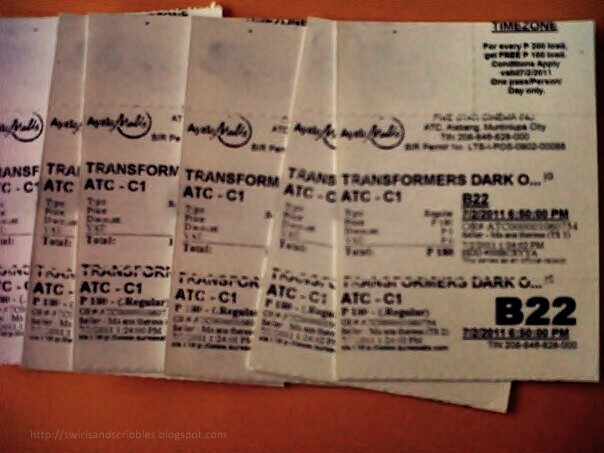 Transformers - Dark of the Moon was one of the most awaited movie of the year. Of course! We must watched it. The first weekend of the movie was surely a hit. Many people also wants to watch it like us. One of my friends bought the tickets earlier, though our seats was not that good because we were on the left almost front seat, the only available seat for that time and day and cinema. My gad! The crowd was wild. The line was long. It was really a blockbuster movie. Couple shoes?? Nah! -- me & my bestfriend.